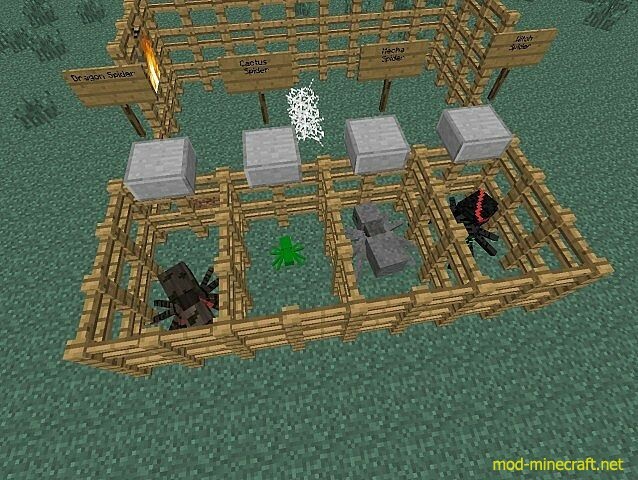 Much More Spiders Mod provides you with 16 spiders for now more coming soon. 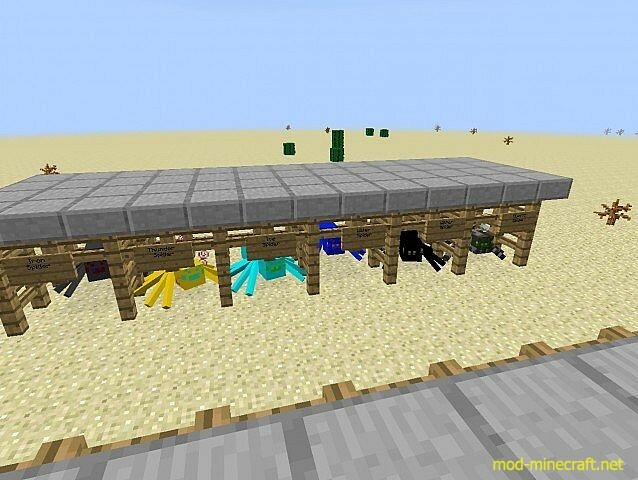 I think this mod is very fascinating for you to try. 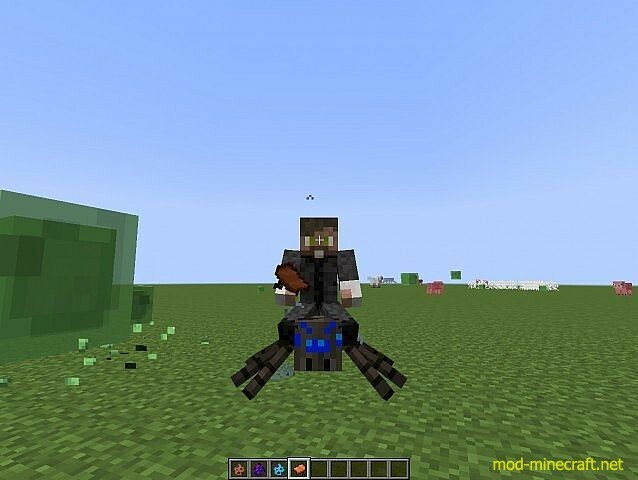 House Spider – 50hp(basiclly is variation of forest spider , attacks enemies with webs) spawns in plains, right click with the sadle to ride it!!! 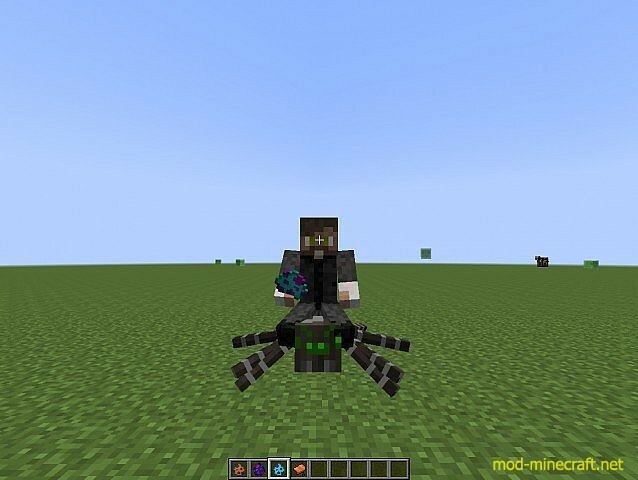 Ridable Quartz Spider – 145hp(Same abillities as Quartz Spider ) when you ride it, just charge right into the enemy and he will attack + set it on fire to make spiders walk just make sure they arleady walking then place saddle on them and smack some mobs ! 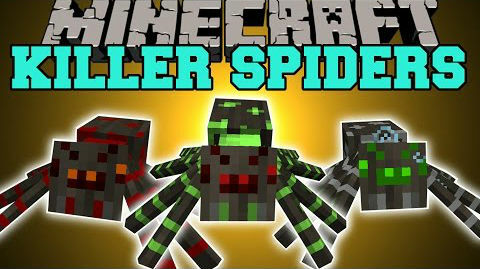 Nether Spiders Tear – new nether spiders drop! 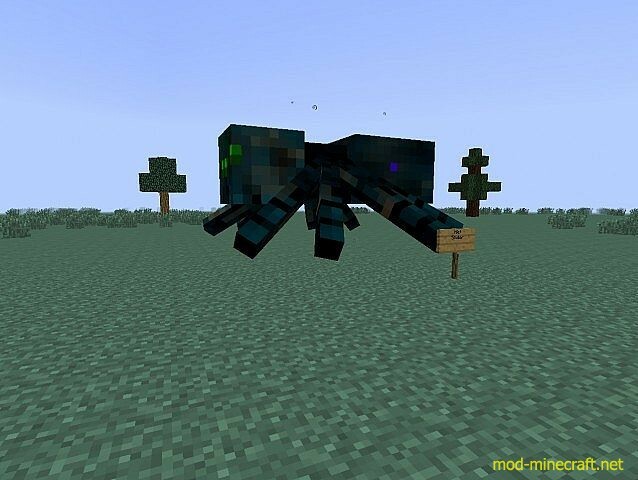 Water Spiders Tear – new water spiders drop! 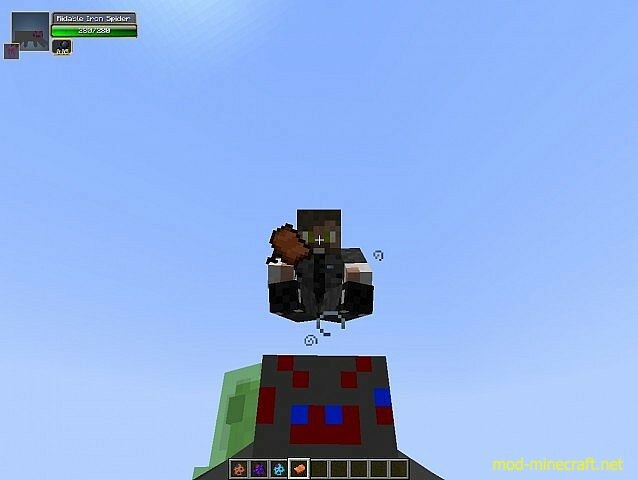 Wither Wand – yet uncraftable – on right click shoots wither skulls + wither sound! Iron Wand – yet uncraftable – on right click shoots iron ball, when it hits something it spawns iron golem! Torch Wand – craftable – on right click shoots light ball, when it hits something it spawns torch! 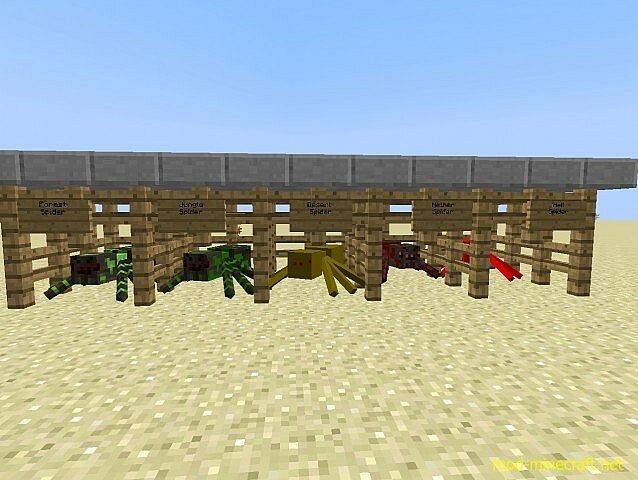 Spiders will attack and kill every mob, and each other. It doesn’t matter if its the same kind.